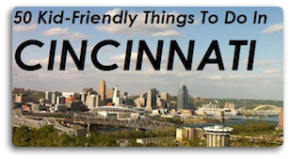 Of course, it isn’t a festival unless there are lots of yummy food booths and Great Miami River Days has plenty – kettle corn, funnel cakes, BBQ, ice cream and much more. Even though this festival revolves around water, the good thing is that you don’t have to be in a bathing suit to enjoy it. Bring on the treats! I love their motto: “Educate, Recreate, Celebrate”. If you get the chance, I hope you’ll visit and it’s nice knowing that the festival proceeds are being used to help extend The Great Miami Recreation Trail. “When complete, the trail will link schools, parks, historic sites and a population of more than 600,000 people” connecting residents from Middletown, Lemon Township, Monroe, Liberty Township and Fairfield Township. To learn more about me, please visit my personal website, MasonMetu, from me to you. Below are some pictures from past festivals. Looks like fun to me.